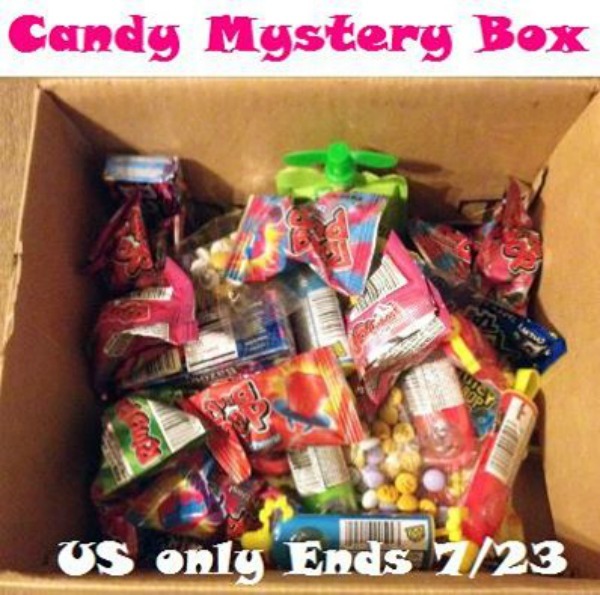 Candy Mystery Box Guest Giveaway ends 7/23 US Only. Do you love candy? Do you love mysteries? We have the best of both worlds for you! We are giving away over 2 pounds of candy! There is an assortment of flavors of ring pops, Juicy Juice drops and Juicy Juice Laffy Taffy Bazooka Gum and Lemon Heads! We may even have closer to 3 pounds total here. I don’t have a scale, but there is a good bit of it. Definitely enough to satisfy any sweet tooth! This amazing group of bloggers have joined me in helping you get that sugar rush! Mystery Box of Assorted Candy! Giveaway ends 7/23/14 at 11:59 pm ET! Open to US residents 18+ and older. « Smile Brilliant for a Whiter Brighter Smile! I love licorice and mars bars. I love chocolate. Butterfinger is such a good candy bar we love them at our house. We LOVE candy. Peanut M&Ms are my favorite! Werther’s Originals. I swear I am not an old lady. Skittles are my favorite candy. They are so good!! When I was a kid my mom and I loved marathon bars but you can’t find them anymore. Now I like milky way bars and chocolate covered cherries the most but I love all kinds of candy. My favorite is red licorice! I love Brown licorice Twizzlers and Dots. Great giveaway chance. My fave is Heath Bar; I love toffee. I love Kit Kats and fruit slices! And Swedish Fish! I have entire draw full of candy haha! favorite candy is probably spree or nerds ropes or skittles or well if it has sugar then its probably delicious! My favorite are regular sized Reese’s peanut butter cups! My favorite candy is Twizzlers. Sour Patch Kids are my favorite! I love Starbursts and snickers. My favorite is a toss up between Reese’s peanut butter cups and Kit kats. Hands down my favorite candy (not counting chocolate) is Allsorts Licorice. It’s hard to find around here but when I see it I can’t resist buying it. I think it’s an English import. When it comes to candy, it is hard to pick just one favorite! However, I do LOVE Reese’s Peanut Butter Cups and licorice candies. I love Butterfingers if I am in the mood for chocolate/ Twizzlers black licorice for a non chocolate craving. It really depends on my mood — I love love love chocolate covered cherries, and that mention of Violet crumble made me smile, too. English candy is the best! I love Kit Kats, Twix, M&M’s anything chocolate! Thank you for the chance to win! My favorite candy is Reese’s Peanut Butter Cups. Junior Mints are up there at the top, too. Hot Tamales and Snickers bars are my favorite. See’s candy is my favorite. My favorite candy? I have to pick just one? Probably rolos! Dark chocolate covered peanuts are my favorite. My favorite is anything with white chocolate. Bottlecaps are my favorute, but i love all sugary candies. My all time favorite candy is Reese’s Peanut Butter Cups and Bar None. Peanut M & M’s are my favorite candy..
Oh yum, who doesn’t love sugar? My favorite candy is so hard to find here: Violet Crumble candy bar. It’s just like the candy “honeycomb” you can get at a specialty candy counter, but in candy bar form. Lately, I’ve been craving chocolate-covered peanuts. Then again, the Lemonhead mascot follows me on Twitter, so I like them too. I love sour cherry candies! My favorite candy is Starbursts!! I like the taste of Skittles. But, chocolate wise I like a regular Hershey’s bar refrigerated. My favorite candy is English Toffee. Trader Joe’s has a good one. My favorite candy is maple sugar candy….I’m addicted to it. I love Hershey’s chocolate with almonds. my favorite candy is York peppermint patties, and hot tamales, oh yeah im a candy eating machine,lol. im actually a junk food junkie, i have a stash that when the kids want something sweet they come to me asking for snacks, its kind of funny. It used to be Reese’s Cups or sticks and York Peppermint Patties but now I love Klondike Mint Chocolate Chip candy the best. My favorite candy is the Reese’s Peanut Butter Cup. I hjave become a gumdrop fanatic,sweedish fish,or laughy taffy…………..
My favorite candies are a tie between Swedish Fish and Gummi Bears. My favorite candy is Laughy Taffy. I love chewy candy. i like 3 muskeeteers candy bars. I always change my mind. For a while, I loved Sixlets. Then it was Heath bar. It just depends on my mood at the time. My favorite candy is Milky Way Bars. Any kind of Taffy is my favorite, I love caramel chews also. My favorite candies are caramels! I love gummies, regular or sour! I rally like Haribo gummy bears and sour spaghetti. That’s a tough question! I love Reese’s cups, but sometimes I like actual sugary candy, lol, like Skittles! I guess I’m willing to eat just about any candy! I love alot of different candy but I guess my all time favorite is Reese Cups. 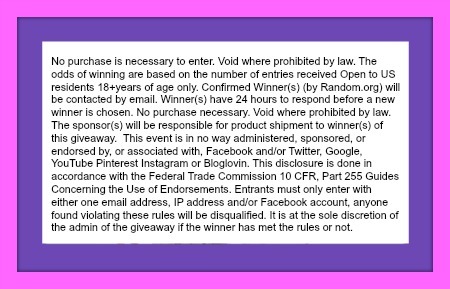 Whoppers,bitofhoney,red hot dollars,Swedish fish and on and on and on,I have more then 1 favorite,thanks so much of the chance to win this delicious package.